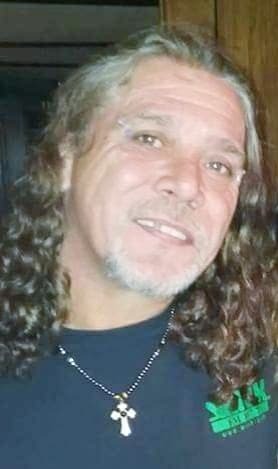 BOBBY JOE BERRY, 48, of Fort Gay, WV, entered into rest August 14, 2018. He was born May 24, 1970 in Huntington, West Virginia, a son of the late Herman Lee and Lona Berry. His brother Herman Berry Jr. also preceded him in death. He leaves behind a daughter Amber Berry of Tennessee; two sons Jacob Looney Berry and Mark Lee Looney Berry of Ohio; two sisters Leona (Joshua) Dingess of Wayne, WV, Melissa (Frankie) McCloud of Genoa, WV; two brothers Carl (Charlotte) Berry of Ohio, Ricky (Bonnie) Berry of East Lynn, WV; his girlfriend Janie Lawson of Fort Gay; and friends and family too numerous to mention. Graveside services will be conducted at noon Friday, August 17, 2018 at the Herman Berry, Jr. Memorial Cemetery, Genoa, WV, with Rev. Herman Dingess officiating. Arrangements entrusted to Johnson Tiller Funeral Home. Donations to assist the family with expenses can be made by following the "Appeal For Donations" tab on the left of this page..